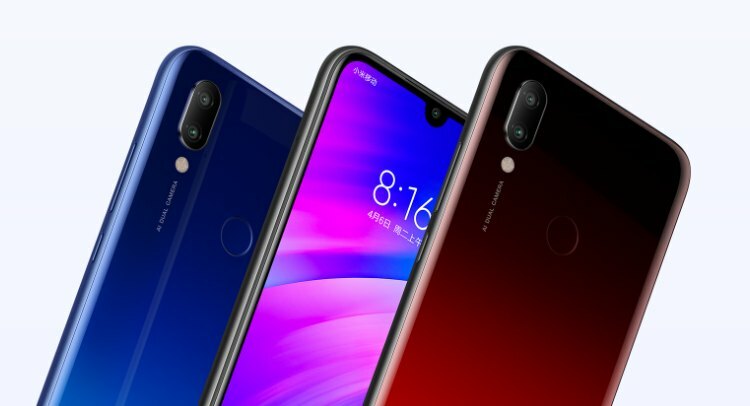 Xiaomi Redmi 7 goes on sale in China - Playfuldroid! The Xiaomi Redmi 7 which was officially announced last week is now finally going on its debut sales in the Chinese market starting today. Those who’re interested in getting the device could soon purchase it via third-party online platform including JD Global or GearBest. The device will come with a price tag as low as 699 Yuan (US$105) for the 2GB+16GB model, 799 Yuan (US$120) for the 3GB+32GB model, as well as 999 Yuan (US$150) for the highest-end model which has a 4GB+64GB memory configurations. As a quick recap, the Xiaomi Redmi 7 comes with a 6.26-inches display with HD+ screen resolution. The device is driven by the Snapdragon 632 SoC and has a 4,000mAh power plant under the hood to keep its lights on. Camera-wise, it has a 12MP+2MP dual-camera setup on its rear chassis, as well as an 8MP selfie cam at the front. The device runs on the MIUI 10 atop the latest Android Pie OS.